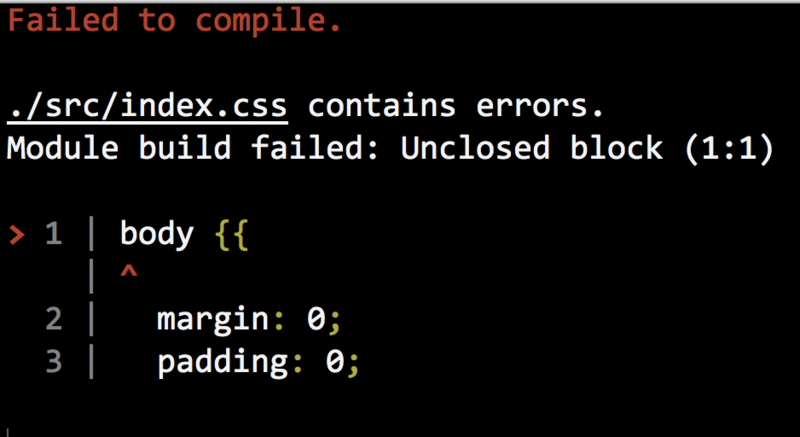 Test plan: different combinations of JS and CSS syntax and lint errors and warnings. +      "$1 '$4' does not contain an export named '$3'." // TODO: Ideally we should write a custom ESLint formatter instead.